Yesterday we awoke to two inches of snow on the ground in Xining. Today was Yushu’s turn with snow falling for much of the morning. 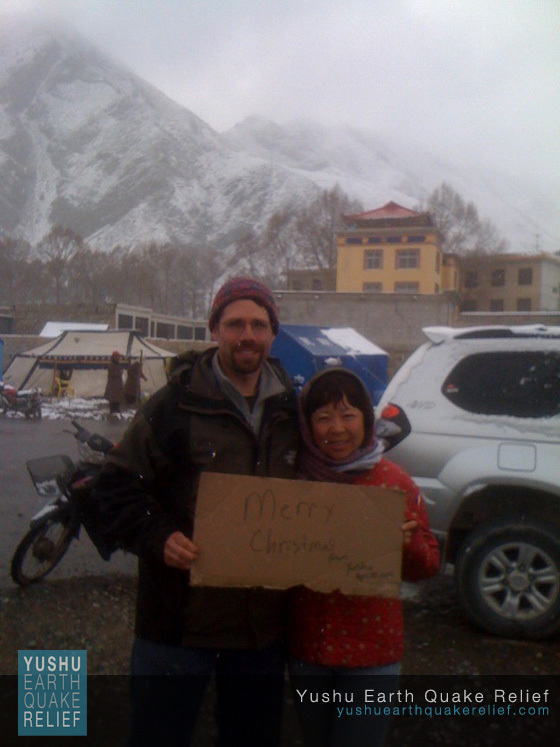 Our medical camp staff made the most of it and jokingly surprised the Xining staffers with this homemade sign reading “Merry Christmas from Yushu April 22, 2010!”. While most locations in North America are experiencing spring-like conditions, the Tibetan plateau’s weather during this time of year can be very temperamental. Nonetheless, we were all happy to see the medical team in good spirits. 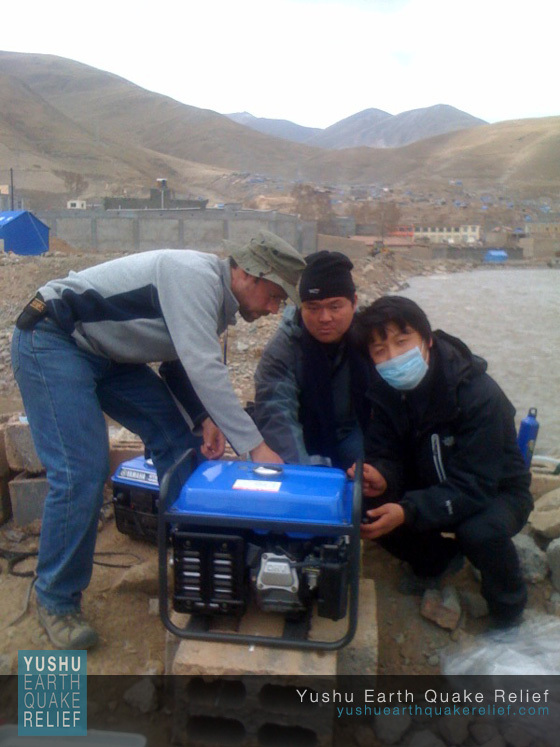 Relief operations have been running very smoothly at our Yushu medical camp. Patients continued to file through and the doctors on site are averaging close to 150-200 patients per day. 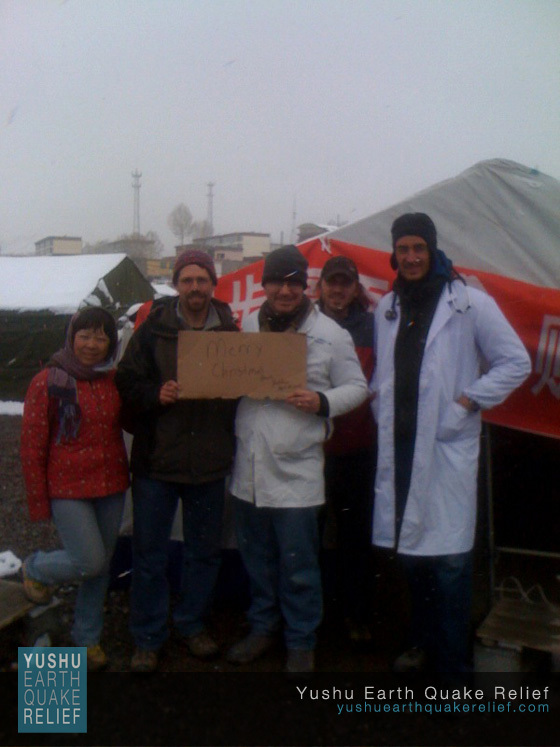 The medical camp staff are approaching treatment of nearly 1,000 patients during our time in Yushu. We remain excited to see that our water filtering systems continue to provide fresh drinking water for the people of Yushu. Needless to say we are thrilled with this initial relief response in Yushu and are making preparations to move into new phases of sustainable medical relief work in Yushu.